According to a recent Shopgate report, retail needs to appeal to smartphone using consumers. 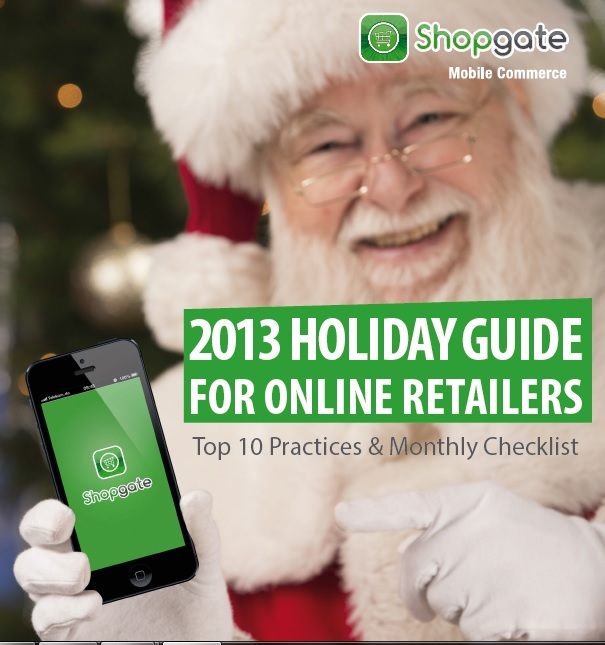 Shopgate, a highly recognized m-commerce business solution, has released a report called the “2013 Holiday Guide for Online Retailers”, which provided the top 10 recommendations for success, this holiday season. Among those points, the focus on catering to smartphone users was a considerable one. What was explained by Shopgate in its report was that retailers should start acting right away to make their way into m-commerce if they haven’t already prepared their strategy for the upcoming holiday shopping season. It is no longer enough to focus on online shopping in general and as a whole. Instead, a focus also needs to be placed specifically on the mobile channel. The report from Shopgate pointed out that m-commerce traffic is not only already representing more than 20 percent of all American internet traffic, but it is also expected to exceed desktop based internet traffic by the end of next year. The holiday season is predicted to be the transitional time into that exceptional rate of growth to the point that it will be greater on smartphones and tablets than it is on laptops. The report pointed to a number of m-commerce findings from several recent studies. For example, it pointed out that shopping over m-commerce is expected to reach $42 billion by the end of this year, and that it will make up a larger segment of e-commerce than has ever been experienced before, according to eMarketer. In fact, the report went to the extent of saying that retailers that choose not to take part in m-commerce may be actively choosing not to take advantage of an important source of revenue. It pointed to data from Econsultancy, which indicated that 62 percent of businesses that have created a website that is specifically optimized for smartphones and tablets, had increased their sales. The recommendation for the upcoming holiday season was to use mobile friendly elements such as: coupons, push notifications, ad scanners, daily deals, QR codes, mobile SEO, and product categories.